UNDER CONTRACT in 3 DAYS !!!! 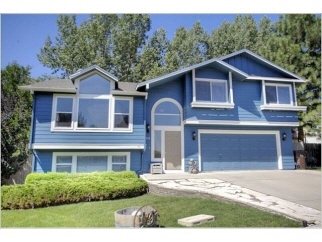 Description: Beautifully updated mint condition tri-level home in desirable saddleback area. Huge lot located on a quiet cul-de-sac with a professionally landscaped rear yard. You'll have to see to believe. Light and bright home features hardwood flooring, new paint, new roof, new windows/screens. Spacious kitchen with breakfast bar, pantry and stainless steel appliances. Updated bathrooms with tile & new fixtures. The walk-out lower level features a family room, brdm, bath, storage & opens up to a brick patio with hot tub. Large upper level deck is perfect for entertaining! 3 car garage has room for work shop & lots of storage. You don't want to miss this great deal!